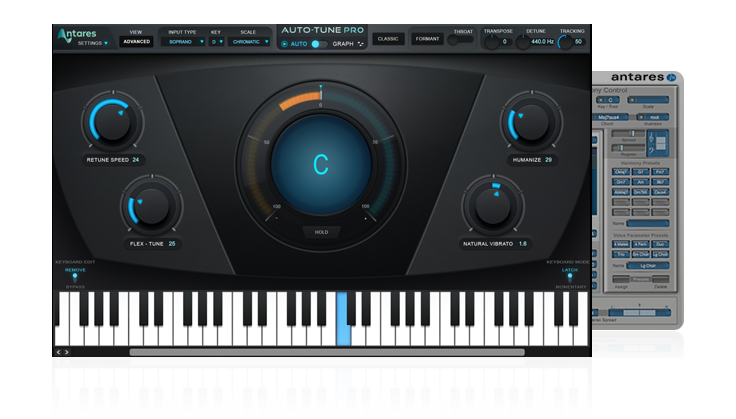 Auto-Tune Vocal Studio - Get Auto-Tune Pro, Harmony Engine and More! 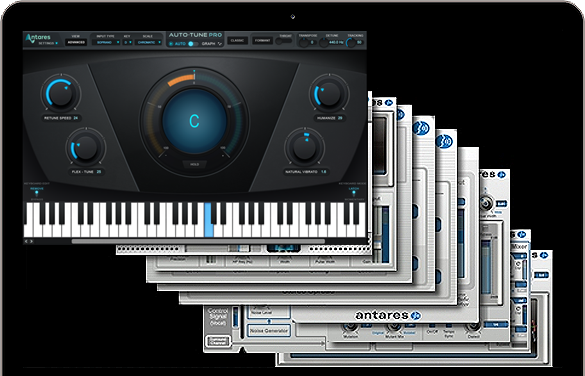 Auto-Tune Vocal Studio combines Auto-Tune Pro, the worldwide standard in professional pitch and time correction, with AVOX 4, the latest generation of the Antares Vocal Toolkit. Together, this 12 plug-in bundle provide a comprehensive suite of tools for producing world-class vocal tracks. At a price that represents meaningful savings over the prices of Auto-Tune Pro and AVOX 4 purchased separately. For individual product details, please refer to the Auto-Tune Pro and AVOX 4 product pages. Low Latency Mode: Auto-Tune 8’s new Low Latency Mode allows for Auto-Tune use when tracking or during live performance, letting vocalists monitor their performance with no disorienting delay. The quickest, easiest tool for creating realistic harmonies. Makes the mics you own sound like the mics you wish you owned. The ideal tool for unique vocal special effects and post-production sound design. Perfect for talking guitars, singing synths, whispering voices, and a wide range of special effects. Warms up vocals with our world-renowned analog tube modeling technology. Subtly (or radically) re-sculpt vocal characteristics with a meticulously crafted physical model of the human vocal tract. Automatically generates a doubled vocal part with unmatched ease and realism. Turns a single voice into up to 32 distinct individual unison voices; assign instances of CHOIR to voices singing harmony and voila, instant choir. Gives your vocal more dynamic impact, allowing it to cut through a dense mix with clarity and power. Tames vocal sibilance with a flexible compressor and a variable side chain frequency to match any vocal performance. Auto-Tune Vocal Studio requires an iLok (not included). • A compatible VST host program that supports VST3 format. • A compatible host program that supports the AU format. • Windows 7 to 10 as required by your version of Pro Tools. • Pro Tools 8 – 10.